Sony's unique "SensMe channels" feature automatically groups tracks by channels and allow you to enjoy music intuitively. 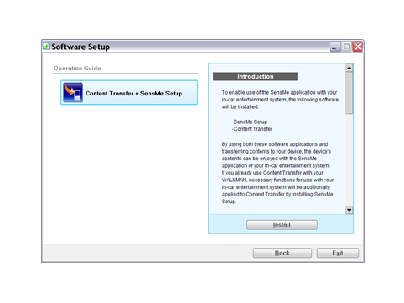 Use of the supplied software ("SensMe Setup" and "Content Transfer") is required to enable the SensMe function on the unit. Notes: The following system environments are not supported. Non IBM PC/AT type computer, such as Macintosh, etc. It may not operate properly even with the recommended environment. * IBM PC/AT or compatible computer preinstalled with the above Windows Operating Systems. 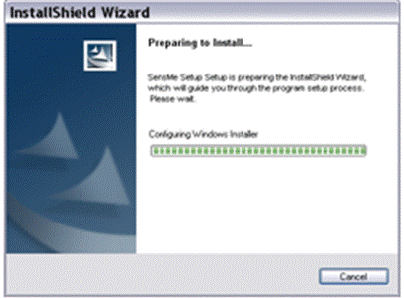 * Windows Vista and Windows 7 64 bit (run on WOW64) are supported. * Windows XP 64 bit is not supported. 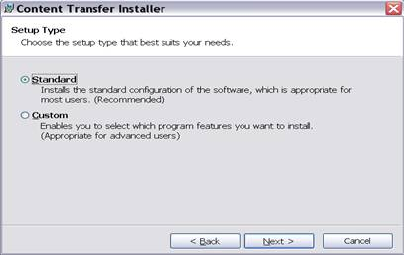 * OSs other than above are not supported. Windows XP Media Center Edition, Windows XP Media Center Edition 2004, Windows XP Media Center Edition 2005, Mac OS, Windows NT, Windows 2000 Professional, Windows Millennium Edition, Windows 98 Second Edition and Windows XP 64 bit are not supported. 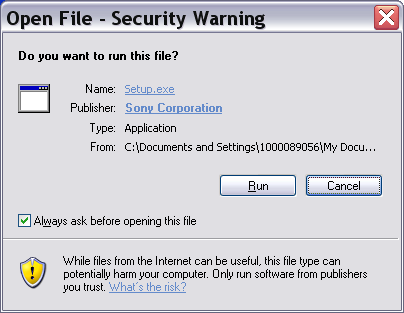 Download the Setup.exe file to the desktop of your computer. 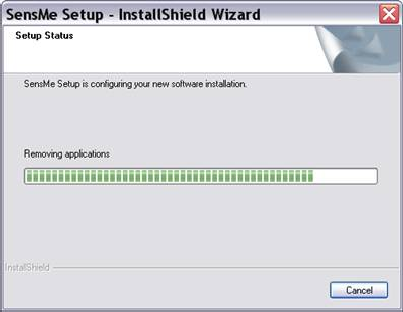 Double-click the Setup.exe file after completing the download. Following screen appears on your display. 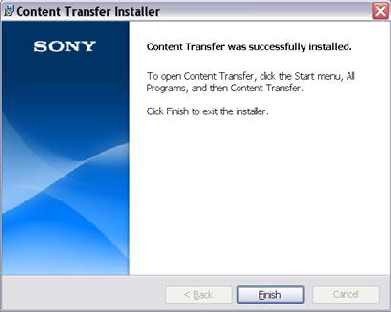 Select "I accept the terms of the license agreement" and click "next"
The following screen appears and select "Content Transfer + SensMe Setup" on the left. 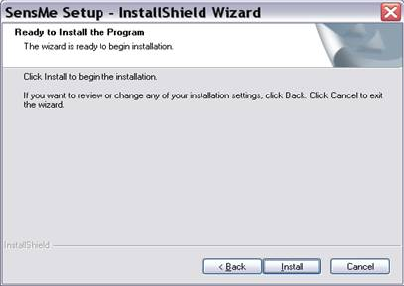 Following screen appears and click "Install". Following screen appears and wait for a minute. Following screen appears and click "Next". Select "Standard" and click "Next". 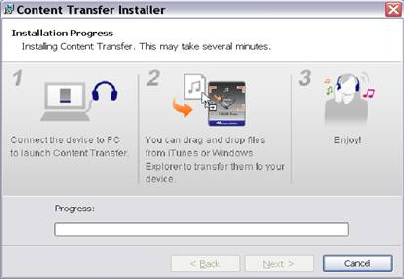 Following screen appears and wait for a few minutes. Following screen appears and click "Finish". The following screen appears and wait for a minute. Click "Finish" and the installation completes. 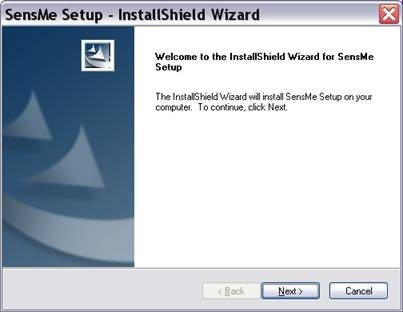 If you want to run SensMe Setup continuously, connect a device to your PC and check "Execute SensMe Setup after installation is complete" and click "Finish". 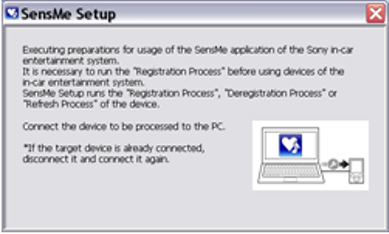 Register a device by executing “SensMe Setup”. 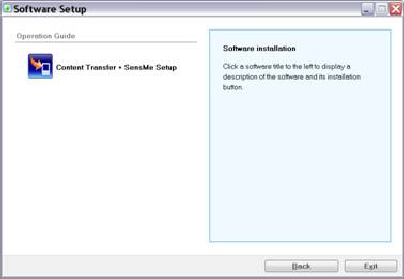 Connect a device to your PC and execute “SensMe Setup”. 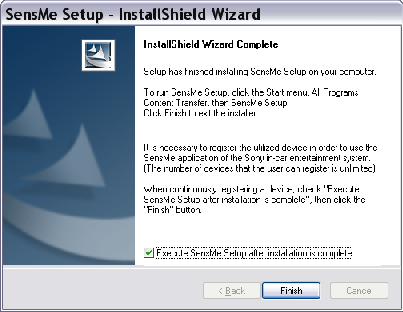 Following screen appears after connecting the device and click “OK”. 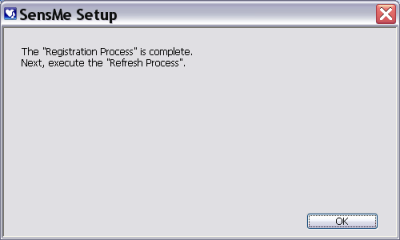 Following screen appears a little later and click “OK”. 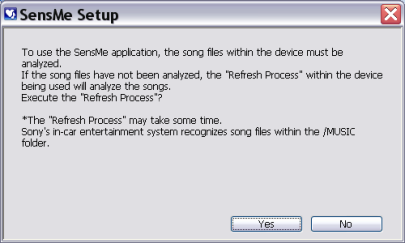 If you have already stored songs in the device, you can proceed to “Refresh Process” by clicking “Yes”. 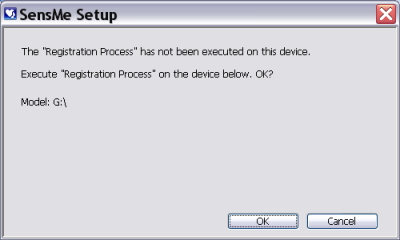 If no, click “No” then SensMe Setup process completes. 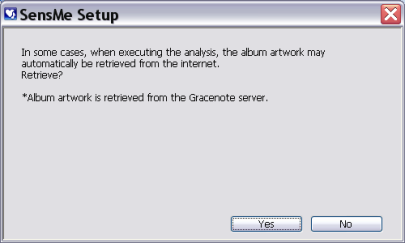 Following screen may appear if you click “Yes” in the previous step. Click “Yes” then you may be able to attach the album artwork to your songs. Following screen appears and click “Finish”. Note: If the PC is not connected to the Internet, follow the steps below. 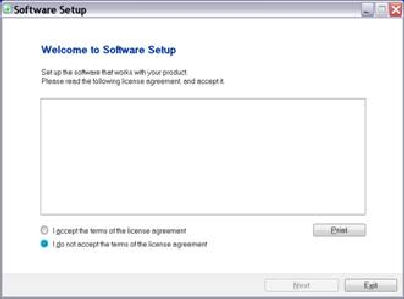 Download the Setup.exe file to an Internet connected PC. 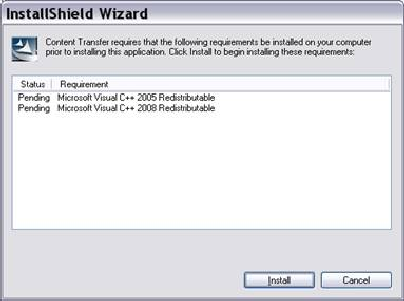 Copy the file to CD-R, flash memory or other memory device. 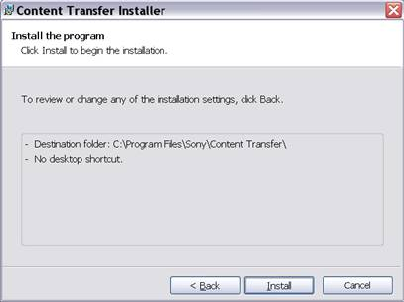 Copy the file to your computer desk top from the memory device and follow the above installation procedure.